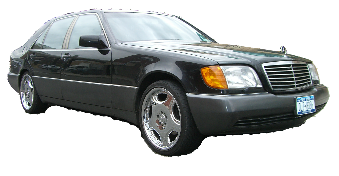 In my life I owned and worked on many W140 S-class cars. All of them had problems with door lock pump aka PSE pump. When pump fails doors do not lock or unlock with key or key fob, fuel filler cap doesn’t lock or unlock, trunk lid does not soft close, trunk handle doesn’t come out or gets stuck extended, lumbar support in both front seats do not work, REST feature on climate control does not blow air out vents correctly (windshield only vs. front vents). Pump is located under rear seat on passenger side. It creates vacuum and pressure. Trunk lid soft close pull is assisted by another pump located in the trunk but door lock pump has to release lock latch. If door lock pump doesn’t work trunk lock latch stays in closed position and soft close feature will not work even if doors close assist works fine. PSE pump also feeds vacuum to climate control flaps when engine is not running. REST feature relies on pump to open center vents. There might be few issues with pump when it fails: internal pressure or vacuum leak, pump vane failure, air hose connectors failures, internal electronics failure, external components failure. But in most cases internal pump motor fails. In some cases only lumbar supports stop working but door locks still work. If pump senses that seats lumbar support have large pressure leak it simply shuts down lumbar circuit but locks and trunk still work fine. If lumbar pressure leak is small PSE pump does not detect it and keeps activating overheating motor resulting in motor premature wear and eventual failure. One can replace complete PSE pump with used pump but motors in used pumps are already worn and usually do not last long. Therefore best option is to replace internal pump motor with brand new one. I can replace burned motor with brand new one. My motors are superseeded version made by same company for another application. Spec sheet is identical to original motor. Fitment is almost as original but output shaft had to be filed for vane to fit over. After motor replacement pump is tested for operation and internal components leak and pressure leak. PSE pump motor replacement and operational test is $400 plus shipping.